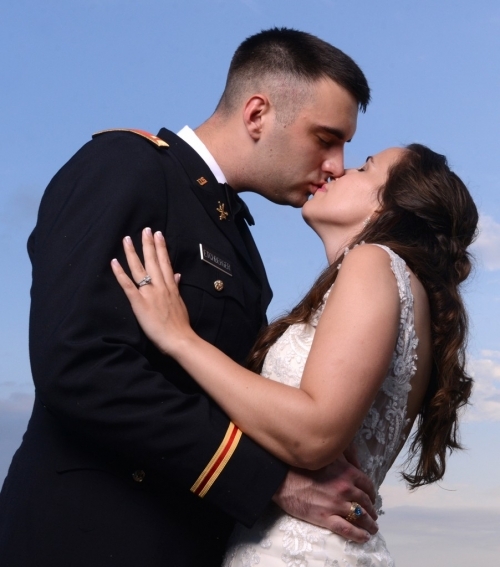 Christie and Henry’s Panama City Beach/Tyndall Air Force Base wedding this summer was a marathon of fun. We started off the day by meeting up at a Panama City Beach home to get photos of Christie getting ready for her big day. All the girls were there and ready for picture time. After taking a handful of “getting ready” photos, we moseyed down to St. Andrew Bay to grab a few photographs of the bridesmaids with the bride. 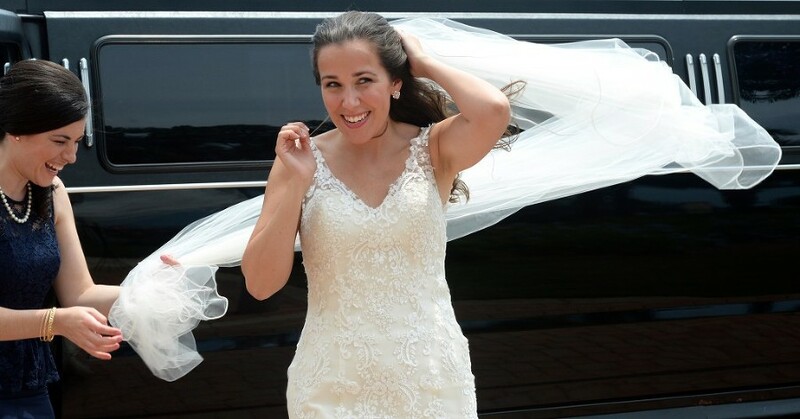 It was quite a windy day and I would up getting a nice photo of Christie getting out of the limo and the wind almost taking away her veil. This may be my favorite photo from the entire wedding day. It is a nice, natural moment in time that I always look for when photographing Panama City Beach weddings. Posed photographs are necessary and totally fine, but what separates the men from the boys is finding these moments in time that you cannot fake. From St. Andrew Bay we moved on to take photographs along Panama City Beach with the Gulf of Mexico as our backdrop. In the summer it is somewhat difficult to find an open patch of sand where a complete wedding party photo can be taken. Luckily there was a spot available and I set up my lights in order to block off a nice chunk of sand for our Panama City Beach wedding photos. I got quite a few funny looks from beachgoers as I was hanging out in the sand, camera in hand wearing a suit as I waited for the wedding party to arrive, but I was OK with that. When they arrived we got straight to work getting some nice group photos of the wedding party and couples photos of the bride and groom. After taking our beach photos, we headed over to to Tyndall Air Force Base in Panama City for the reception. It is quite a drive from PCB over to the base, so I had time to cool down a bit from working up a sweat from running around on the beach taking photos. At the base I photographed the happy couple as they were announced to guests, as they cut the cake, as they made toasts and as they had their first dance. After all the formal wedding traditions were out of the way, it was time for the best wedding tradition of all….dancing! I got some fun photographs of the couple, their wedding party and guests as they cut a rug into the night. Christie and Henry are a wonderful couple and I wish them all the best. Thanks for choosing me as your Panama City Wedding photographer.